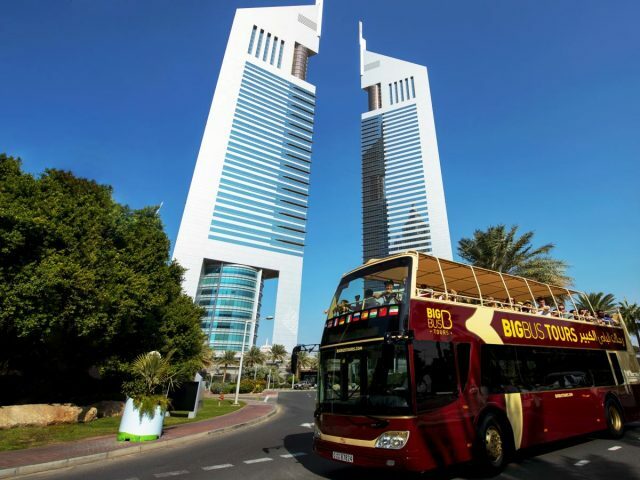 The Big Bus Dubai Tour hop on hop off tour is a great way for tourists in Dubai to explore the city! You can hop off at any of the landmarks in Dubai and take your time to explore the areas, before hopping back on and heading to the next stop. The classic ticket includes the bus tour, a night tour and a dhow cruise too! Fancy exploring Dubai by foot? This walking tour lets you do just that. Local guides will take you around the city as you explore Dubai from the streets, interact with locals, soak up the atmosphere and more! 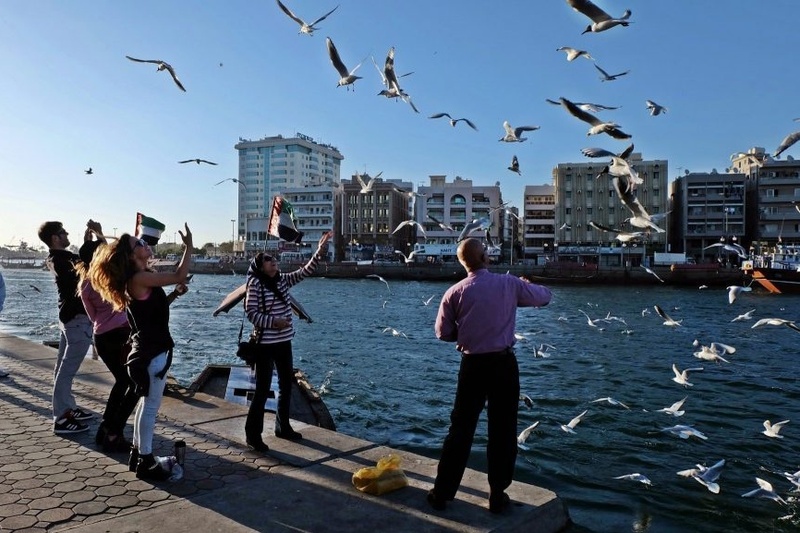 Dubai by Foot lets you choose from three walking tours – a historic tour around Old Dubai, a tour of modern Dubai, and a Futuristic Dubai tour. The Sheikh Mohammed Centre for Cultural Understanding (SMCCU) is a non-profit organisation that aims to raise awareness of local cultures, customs and religion. 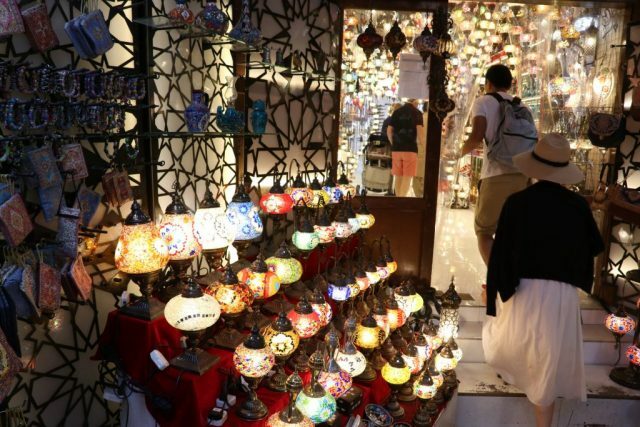 From tours of the Al Fahidi Cultural District and spice souks to visiting mosques and going on abra rides, there’s so much that tourists in Dubai can learn from the insightful SMCCU team. Looking to explore Dubai by boat? 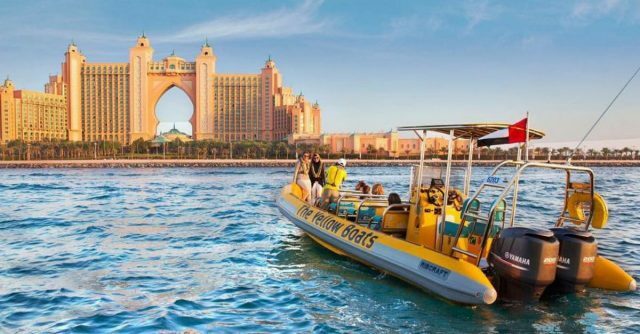 The Yellow Boats Dubai will take you on an unforgettable Dubai sightseeing tour, where you’ll get to see the Palm Jumeirah, Burj Al Arab, and Dubai Marina. Don’t forget to snap up a selfie with the iconic landmarks!